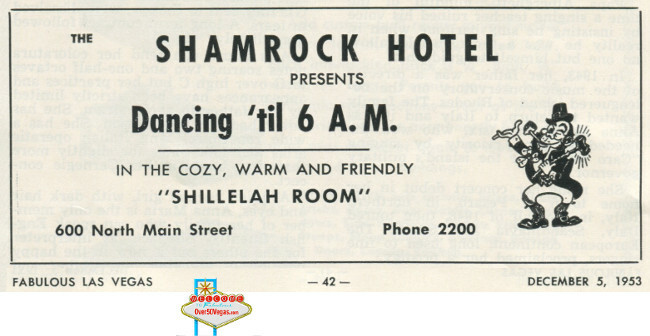 This ad from Dec 5, 1953 shows the Shamrock still operating, although it doesn't mention any gambling. 600 N. Main and not 614. It looks like the typesetter for the ad was confused about the spelling of "Shillalah". I looked it up in Meriam-Webster's dictionary and the spelling of Shillalah is a common variant of the correct spelling of 'shillelagh'. 'Shillelah' doesn’t appear to be any variation just a misprint. 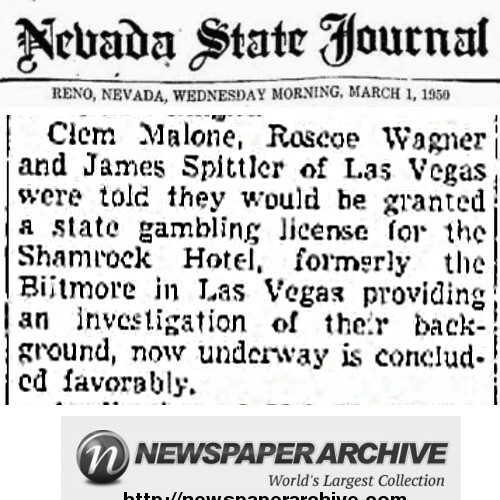 Clem Malone, Roscoe Wagner, and James Spitler apply for a gaming license for the Shamrock Hotel. On April 19, 1952 the license was approved for Clem Malone and Frances Malone. H. I. Wiley, Howard G. Baxter and Charles Trumbley. 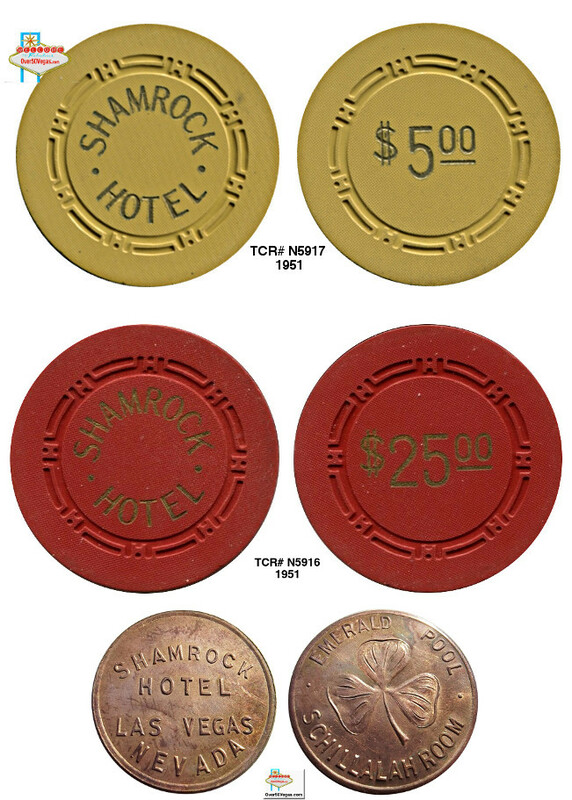 I am not sure if this is the same Shamrock Hotel since these names have not appeared elsewhere in connection with the Shamrock Hotel. 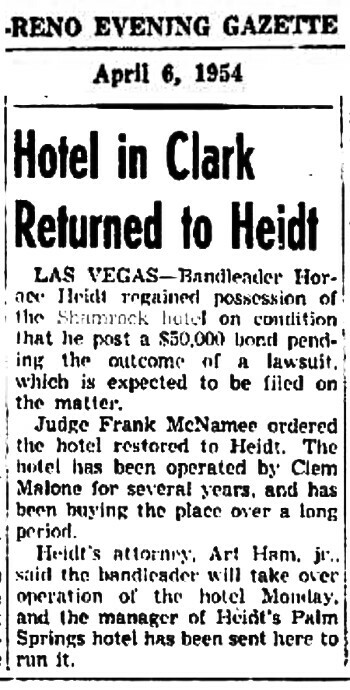 I wonder if big bandleader Horace Heidt ever regretted the day he became involved with the property at 614 N. Main in Las Vegas. His history with the property seemed to only make money for his lawyers. 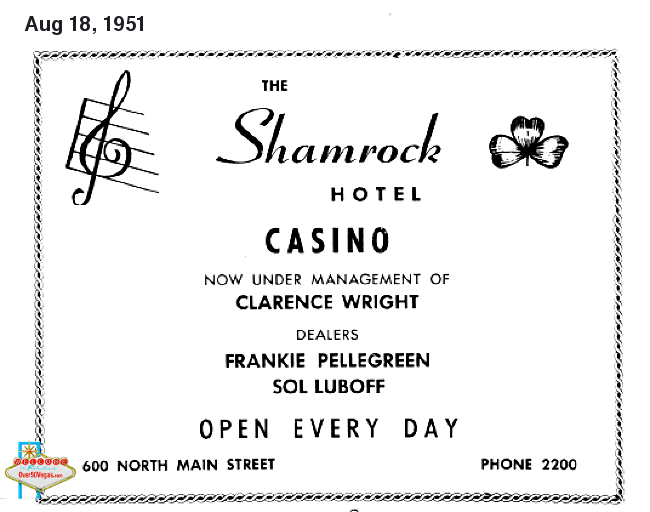 Most sources show that gaming ended at the Shamrock Hotel sometime in 1953 but here is an approval for Paul R. Gang and Abe Kroloff in July of 1954. 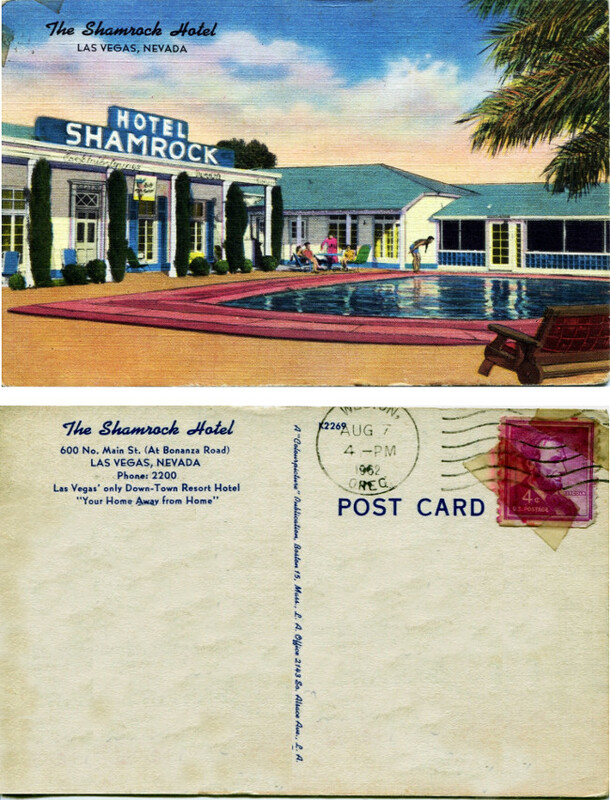 This Shamrock Hotel postcard is postmarked 1962, long after it had closed. 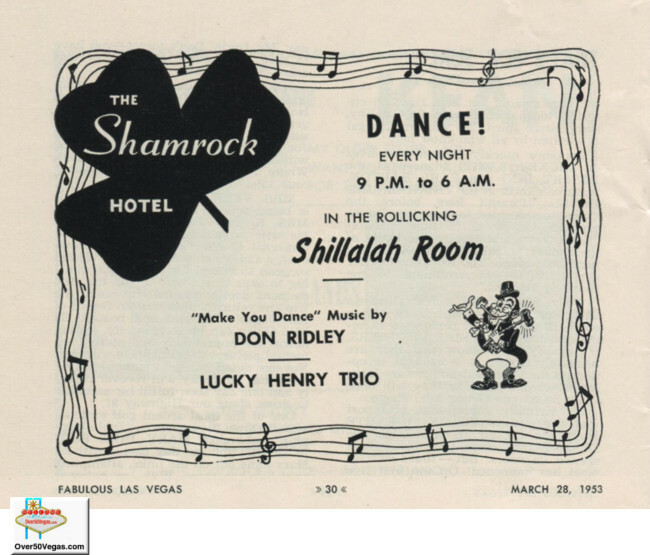 Lucky Henry Trio provide music for dancing in the Shillalah Room at the Shamrock Hotel.